Buying a Manhattan apartment isn’t getting any easier or less expensive. The Markets. Fixed rates eased back a bit in the past week after rising the previous week. Freddie Mac announced that for the week ending September 25, 30-year fixed rates eased to 4.20% from 4.23% the week before. The average for 15-year loans also decreased slightly to 3.36%. Adjustables were mixed, with the average for one-year adjustables remaining at 2.43% and five-year adjustables increasing to 3.08%. A year ago, 30-year fixed rates were at 4.32%. Attributed to Frank Nothaft, vice president and chief economist, Freddie Mac — “Rates on home loans were slightly changed with the rate on the 30-year fixed down three basis points. Meanwhile, existing home sales dropped 1.8 percent in August to a seasonally-adjusted annual rate of 5.05 million. Sales of new single-family homes surged 18.0 percent in August to an annual pace of 504,000 units. Also, the Federal Housing Finance Agency reported house prices rose just 0.1 percent on a seasonally-adjusted basis in July, and were up 4.4 percent over the past year.” Rates indicated do not include fees and points and are provided for evidence of trends only. They should not be used for comparison purposes. Mayor Bill de Blasio is evaluating a proposal to impose a steep property tax surcharge on expensive pied-à-terre residences owned by buyers from across the country and around the world. Charming prewar studio in a well maintained Co-op building designed by famed architect Rosario Candela. This home has over-sized windows with tree-top views. The building amenities include a storage room, bike room, outdoor garden area, and a full-time doorman/elevator operator. There is a $144.98 per month assessment is in effect until end of 2014. Pets are not permitted. The Markets. Fixed rates rose in the past week ending several weeks of stability. Freddie Mac announced that for the week ending September 18, 30-year fixed rates rose to 4.23% from 4.12% the week before. The average for 15-year loans also increased to 3.37%. Adjustables were mixed, with the average for one-year adjustables moving down slightly to 2.43% and five-year adjustables increasing to 3.06%. A year ago 30-year fixed rates were at 4.50%. Attributed to Frank Nothaft, vice president and chief economist, Freddie Mac — “Rates on home loans rose this week following the increase in 10-year Treasury yields being partially fueled by market speculation the Federal Reserve might change its interest rate guidance. Meanwhile, the Labor Department reported that its Consumer Price Index (CPI) declined 0.2 percent in August reflecting declines in energy prices. Excluding food and energy, the CPI was unchanged.” Rates indicated do not include fees and points and are provided for evidence of trends only. They should not be used for comparison purposes. Market-wide: August showed a decline in average and median prices, however these are not believed to be indicative of a declining market. Year-over-year comparisons are misleading due to the strength of the previous year, showing some dramatic changes versus August 2013. Contracts signed market-wide decreased 12% year-over-year, but were just above their level in August 2012. Condos: Prices in the condo market overall showed decreases, but this is not believed to indicate a declining market. The negotiability on condo units signed this month increased slightly, up to 1.6% off asking price on average. Days on market increased versus last month’s unusually low number to a still-low 76 days. Co-ops: Median price increased 8% versus August 2013, indicating price increases among the majority of sales while top-end deals have slowed. Negotiability remains nearly non-existent, with an average discount from last asking price to sale price of less than 1%. The Brooklyn market continued the trend of year-over-year average price gains, up 22% from last August, making this the nineteenth consecutive month with year-over-year growth. The increase can be attributed largely to the year-over-year price gains in one, two and three plus bedroom categories which increased 23%, 24% and 56%, respectively. The length of time from list to sale continued to shrink, decreasing by 39% compared to last August, despite the 12% annual rise in available listings a majority of buyers continue to sign deals at or above list prices. Total available inventory in Brooklyn increased 12% versus a year ago while new listings increased 4% year-over-year. Contact me to discuss any upcoming vacancies and/or pricing of your apartments. 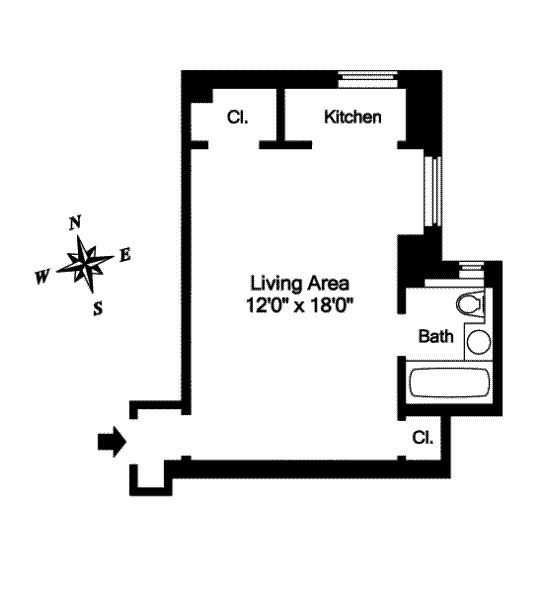 In August 2014, the average monthly rental price for a Manhattan studio was $2,112. For one-bedroom homes, the average was $2,887. For two-bedrooms, the average rent was $3,957. Finally, the average three-bedroom apartment rented for $5,256. Rents increased 2.0% for studio and one-bedroom homes, and 0.9% for two-bedroom units from August 2013 to August 2014. In contrast, rents for three-bedroom apartments decreased by 1.8% during the same period. As usual, the most expensive neighborhood for renters in August was SoHo/TriBeCa, with a median rent of $5,100. The Financial District/Battery Park City was the second priciest area, with a median rent of $3,700. The least expensive area for renters in Manhattan during August 2014 was Washington Heights, with a median rent of $1,900. When examining neighborhoods below 96th Street, the Upper East Side’s median rent of $2,400 was the lowest of all areas in this section of the borough. With a vacancy rate of 1.04%, Gramercy was the neighborhood with least inventory in August 2014, followed by Midtown West at 1.08%. On the other end of the spectrum, the vacancy rate was highest in the East Village. Last month, 2.08% of homes in the neighborhood were vacant. The West Village also saw its vacancy rate rise to 1.58% in August, making it the area with second-highest percentage of available homes. When comparing the borough’s vacancy rate year-over-year, there was still less inventory on the market in August 2014 than there was last August, despite the recent vacancy rate increases. In August 2013, the Manhattan vacancy rate was 1.31%, slightly higher than July 2014’s rate of 1.27%. Manhattan’s vacancy rate continues to climb, availability highest in the East and West Villages. New York, NY (September 11, 2014) – Leading Manhattan real estate brokerage Citi Habitats released its monthly rental market analysis for August 2014 today. While Manhattan rents are still slightly higher overall than they were a year ago, the data showed that the borough’s rental market continues to soften, with falling rents for most apartment categories and an increasing vacancy rate. During August, the East and West Villages topped the list of neighborhoods with available inventory. This is surprising, as these areas are typically in high-demand with apartment seekers. The report found that when compared to July, average rents declined 3% for studio apartments. Rents for one-bedroom homes remained flat, while rents for two-bedroom homes fell by 2% on average. In contrast, average rents for three-bedroom units increased by 1%. In August 2014, the borough-wide vacancy rose slightly to 1.27% from July’s rate of 1.25%. This is highest vacancy rate we have seen since April, when the rate was 1.36%. In addition, August marks two consecutive months of vacancy rate increases, which is relatively unusual for the summer season. When examining incentives, 6% of rental transactions brokered by Citi Habitats offered a free month’s rent and/or payment of the broker fee to entice new tenants in August, unchanged from July.